The Moment: The O.C Season 2 Finale 'The Dearly Beloved', Marissa shoots Trey to stop him killing Ryan. CONTROLRadioUK Thoughts: It was tough to choose between this and 'The Moment I Said It' which was played during an early Criminal Minds episode, but I had to go with this. The SNL parody is extremely amusing & there has been a lot of talk over the years, regarding whether playing this song when the guns fired was the right choice (the camera angle, slow motion & blood through Trey's shirt didn't help) but The O.C ruled my teen life for 3 glorious years, and this was a big moment. It was one destined to happen the second Trey tried to force himself onto Marissa. Yes I could've done without Seth's phone call to Marissa to try & stop Ryan, and standing back, screaming for Trey to get off Ryan whilst he was beating him within inches of his life was a bit stupid. But the first time I watched the episode, the first time I sat through that scene with my heart racing & the first time that gun went off and this began? Shiver went through my body. The O.C like One Tree Hill was known for its awesome soundtrack, and I don't think this let the side down. The Moment: Teen Wolf Season 2 'Raving' closing montage. 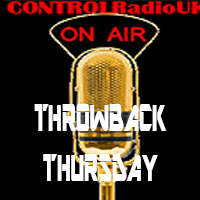 CONTROLRadioUK Thoughts: I was a big fan of Teen Wolf up to Season 3a. It introduced me to a lot of good music & their use of dance music during fight scenes was a bit different to the norm. The closing montage to 'Raving' is one of the best the show has ever done & this song suited the atmosphere perfectly. I was one of those lucky enough to watch the episode early & there was so much that went down in the episode. But when this song started playing, inter-cutting between those scenes with the stray pieces of dialogue? I knew it was going down. On re-watches I'd say this and 'Motel California' are my favorite episodes of Teen Wolf, for the music, the directing & the stories involved. CONTROLRadioUK Thoughts: I do recall mentioning Glee did a lot of things wrong but gave us a few good moments; this would be another of them. Now I have to say overall I hated this episode. I wasn't here for the stupid love square between Rachel/Jessie/Finn/Quinn. I wasn't here for Kurt trying to force Karofsky to come out as gay. Yes the suggestion was part of a strategy to be victorious against his peers who tried to humiliate Kurt with the nomination for Prom Queen. But just because he could eventually take the humiliation in his stride & turn the situation on its head by being happy to accept his crown, that didn't mean Karofsky had to do the same. Telling a person to take a stand & be true to themselves by revealing their sexual orientation to everyone before they're ready to is not cool. I do however love the end scene first because it is a great Abba cover, and second after an episode full of drama it was good to just have fun. Sing-along at your prom, dance with your friends and get your picture taken. When it wasn't trying to preach or retcon from one ep to another, Glee did light-heated moments really well. The Moment: Charmed Season 2 'Astral Monkey', Leo comforts Piper over the Doctor's death. CONTROLRadioUK Thoughts: So sorry to that lovely Doctor for the fact I don't remember his name despite it mentioned quite a lot through the episode, but this isn't about you! That scene wrecked young teen me & to this day whenever I re-watch that episode & get to the end, I can't help but tear up. It's a fantastic trio of writing, acting & music. Even though I can't remember his name the episode did spend time giving us insight into the Doctor's backstory & what drove him to the actions he took. We saw throughout the episode how much of a dilemma Piper felt not being able to give him the answers he needed, and how that turned to despair when he got their powers & had to die. It was a rare villain of the week storyline where there wasn't actually a villain of the week. Piper telling Phoebe & Prue how the Doctor had no wife or children because he was so devoted & seeing them want to help her feelings of guilt but having no answer. It all leads into Piper collapsing on her bed in tears & Leo appearing after feeling the pain she's in. It's al all round devastating, powerful, teary moment & this song was absolutely perfect. CONTROLRadioUK Thoughts: For someone who'd already guessed Maya was dead, you wouldn't think the scene where the Liars discovered this would get to me but it did. The Liars think A has been discovered & the danger is over, with Hannah coming back and Mona unmasked but boy are they wrong. When the music's slowly building in the background as they notice the sirens but don't really pay attention, and then Emily runs to the scene because she knows something serious has happened. Her mum tells her the news about Maya and we watch as the coroner takes away the body, the music grows louder & the news sinks in. Death reveals are always hard in TV. Over-act, have the music too loud with awful dialogue & you're completely taken out of the scene. Don't put enough emotion in, have the music barely there with too much or too little dialogue & the death doesn't hit at all. I think PLL got the balance just right here. The music is what makes the scene since the lyrics are suitably apt. But the acting somewhat let's the scene down here as I was more affected by Spencer's sadness comforting Emily & keeping her from collapsing, than I was with Emily's devastation at the realization Maya was dead. I also found Hannah & Aria's reactions to be pretty weak as well, but I won't be too harsh as this was fairly early on in the shows run, they didn't have a wealth of acting experience to get them through the death reveal & I did still feel rather sad.